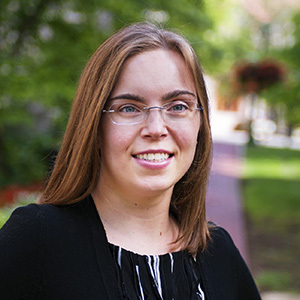 Professor Foohey joined the Indiana Law faculty in 2014 after two years as a visiting assistant professor at the University of Illinois College of Law. She currently serves as chair of the Center for Law, Society & Culture’s advisory board. In 2017, she received the Gavel Award for outstanding contribution to the graduating class; and in 2018, she received the IU Trustees&apos; Teaching Award for excellence in teaching. Professor Foohey is the current chair of the Creditors’ and Debtors’ Rights Section of the Association of American Law Schools (AALS), and is a past chair of the AALS Section on Commercial and Related Consumer Law. She is a current member of the executive committees of the AALS Sections on Commercial and Related Consumer Law, Law and the Social Sciences, and Real Estate Transactions; and a co-chair of the Law and Society Association’s Household Finance Collaborative Research Network. Professor Foohey also currently serves on the editorial advisory board of the American Bankruptcy Law Journal, which is a peer-reviewed academic law review published by the National Conference of Bankruptcy Judges. A New Deal for Debtors: Providing Procedural Justice in Consumer Bankruptcy, 60 B.C. L. REV. ___ (forthcoming 2019). Life in the Sweatbox, 94 NOTRE DAME L. REV. 219 (2018) (with Robert M. Lawless, Katherine Porter, and Deborah Thorne). Jevic&apos;s Promise: Procedural Justice in Chapter 11, 93 WASH. L. REV. ONLINE 128 (2018). “No Money Down” Bankruptcy, 90 S. CAL. L. REV. 1055 (2017) (with Robert M. Lawless, Katherine Porter, and Deborah Thorne). Calling on the CFPB for Help: Telling Stories and Consumer Protection, 80 LAW & CONTEMP. PROBS. 177 (2017). Lender Discrimination, Black Churches, and Bankruptcy, 50 HOUS. L. REV. 101 (2017). When Faith Falls Short: Bankruptcy Decisions of Churches, 76 OHIO ST. L.J. 1319 (2015). Secured Credit in Religious Institutions&apos; Reorganizations, 2015 U. ILL. L. REV. slip op. 51 (2015). When Churches Reorganize, 88 AM. BANKR. L.J. 277 (2014). Bankrupting the Faith, 78 MO. L. REV. 719 (2013). Chapter 11 Reorganization and the Fair and Equitable Standard: How the Absolute Priority Rule Applies to All Nonprofit Entities, 86 ST. JOHN’S L. REV. 31 (2012). Paying Women for Their Eggs for Use in Stem Cell Research, 30 PACE L. R. 900 (2010). Child Support and (In)ability to Pay: The Case for the Cost Shares Model, 13 U.C. DAVIS J. JUV. L. & POL’Y 35 (2009).